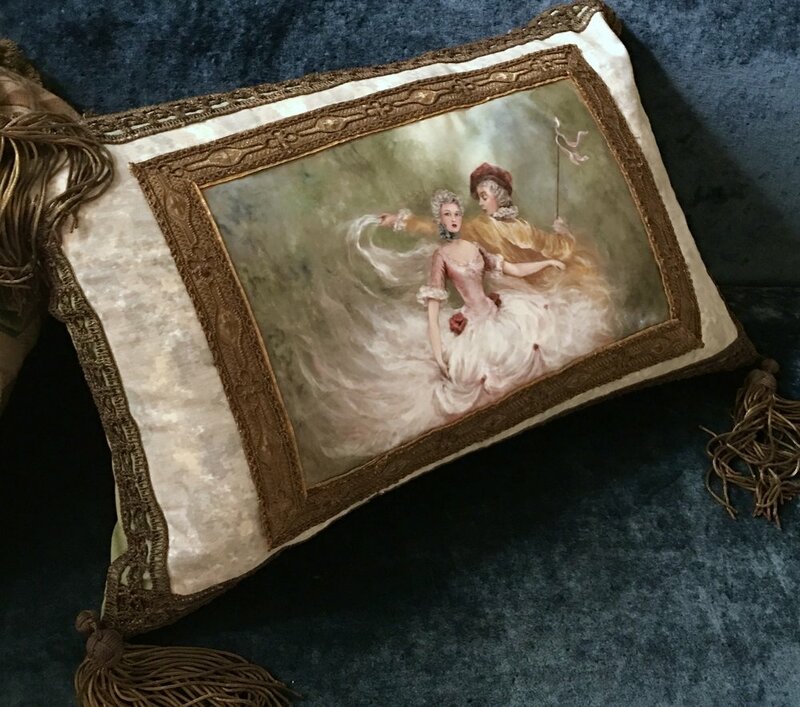 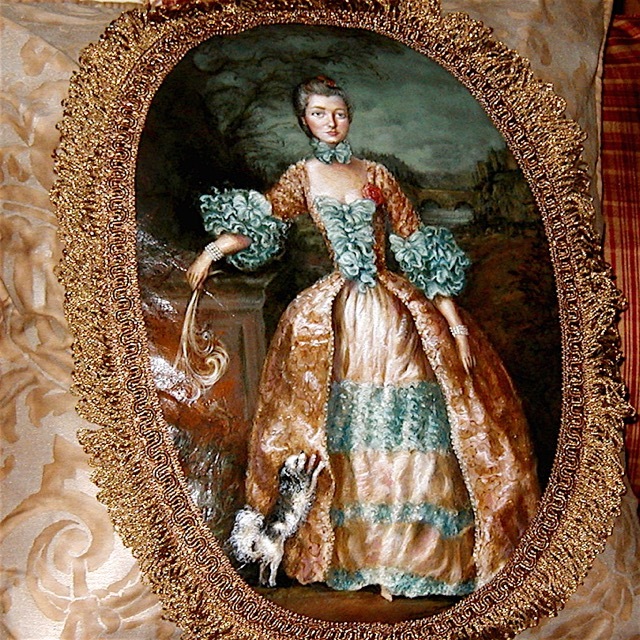 Jennifer Chapman's Masterpiece Collection feature original oil paintings on leather panels adorning beautifully designed pillows of the most exquisite fabrics and trims, from antique textiles to Italian Fortuny. 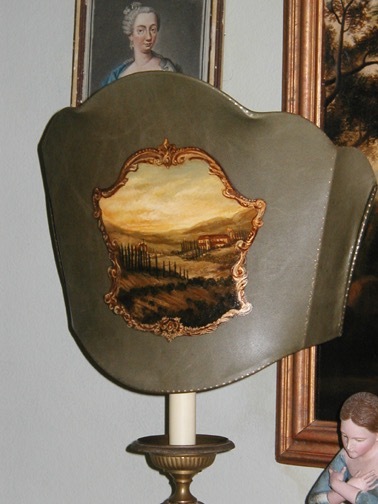 The Masterpiece Collection also incudes Jennifer's original artwork on stretched leather lampshades, boxes and purses. 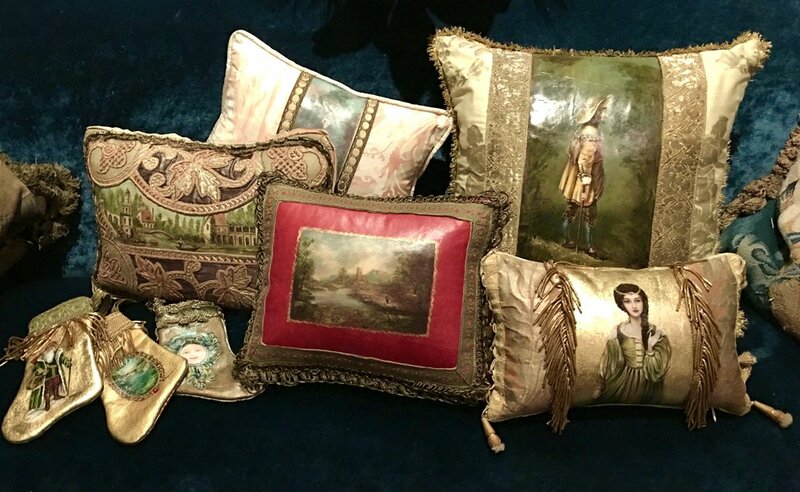 Many of the items shown here appear in international design publications, including the books of best-selling author/designer Betty Lou Phillips. 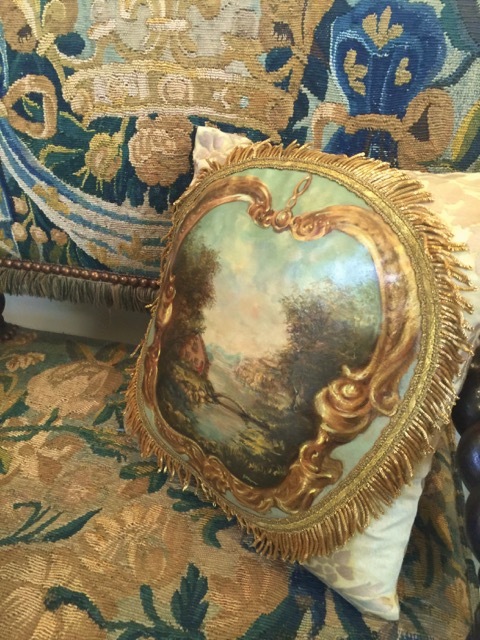 Commission your own special masterpiece pillows to compliment your home design.